MARJ, Libya (Reuters) - East Libyan military forces are in talks with protesting state guards to take over the nation's largest oilfield El Sharara peacefully and pass it to the state oil firm, a commander said on Monday. 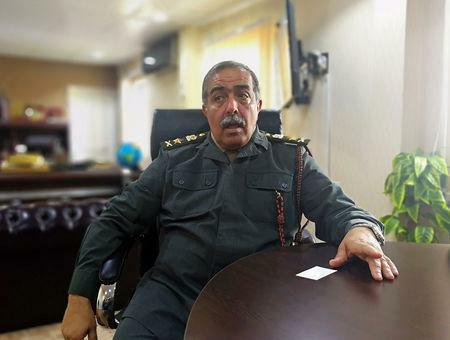 Nathouri said his forces would hand El Sharara over to the Tripoli-based National Oil Company (NOC) once it had control, as it did with oil ports in the center of Libya last year after expelling an armed group holding them. Players in east Libya have tried to bypass Tripoli, where an internationally-recognized government sits, and export oil direct, but the United Nations has prohibited that, deterring potential buyers. Libya used to pump up to 1.6 million bpd under Gaddafi's rule, but that plunged to as low as 90,000 in 2013 due to strife and blockades at fields. Now, with El Sharara paralyzed, NOC produces around 1 million bpd, industry sources say.